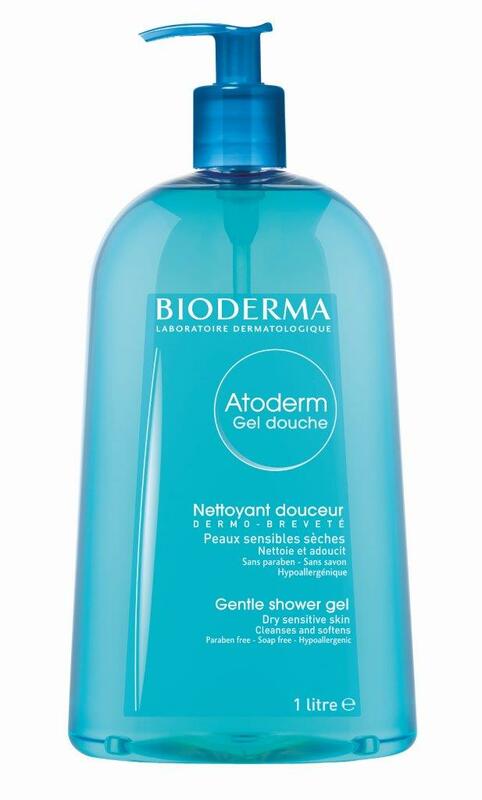 Leading French dermocosmetic brand, BIODERMA, is proud to announce the launch of two new and unique products from its Atoderm Range in 2017; Atoderm Shower Oil and Atoderm Hands & Nails. The Atoderm skincare line is developed specifically to treat normal to dry sensitive skin and very dry, irritated to atopic skin which can affect people of all ages, from infancy to adulthood. Bioderma will also introduce a new economic size of the Atoderm Shower Gel in a 1L pump bottle. BIODERMA has created a patented complex to help restore the skin’s natural barrier: Skin Barrier Therapy. This unique formula works to restore skin’s flexibility and helps prevent irritants from penetrating the skin while biologically stimulating lipids and structural proteins to naturally restore the skin’s barrier over time. Unlike general ranges for dry skin, Bioderma’s Atoderm range also works to manage the evolution of these particular dry skin conditions. Atoderm Shower Oil and Atoderm Hands & Nails will be available to buy from independent pharmacies nationwide in February 2017. Vegetal biolipids* soothe the feeling of tightness and increase the resistance of the skin by recreating a protective film of the skin. Vitamin PP, capable of increasing the synthesis of lipids, helps to restore the skin barrier which improves the skin's suppleness and durably restores comfort. Its ultra light foam is specifically designed to respect the most sensitive skin. The patented natural complex DAF increases the skin's tolerance threshold. Suitable for the most fragile of skin types, Atoderm Shower Oil is paraben, preservative, sulphate and soap free as well as hypoallergenic. The unique and economic size is ideal for the entire family. A daily gentle soap-free cleansing shower gel for dry and sensitive skin. The cleanser respects the skin with soothing properties that reduce sensations of tightness.